Cute traditional bach with outside room/retreat for teenagers, extended family or friends. Great outside living with all day sun and indoor outdoor flow. Space to park the car boat and tent. Walk to the surf club, main beach or estuary, or grab a coffee from Blackies. 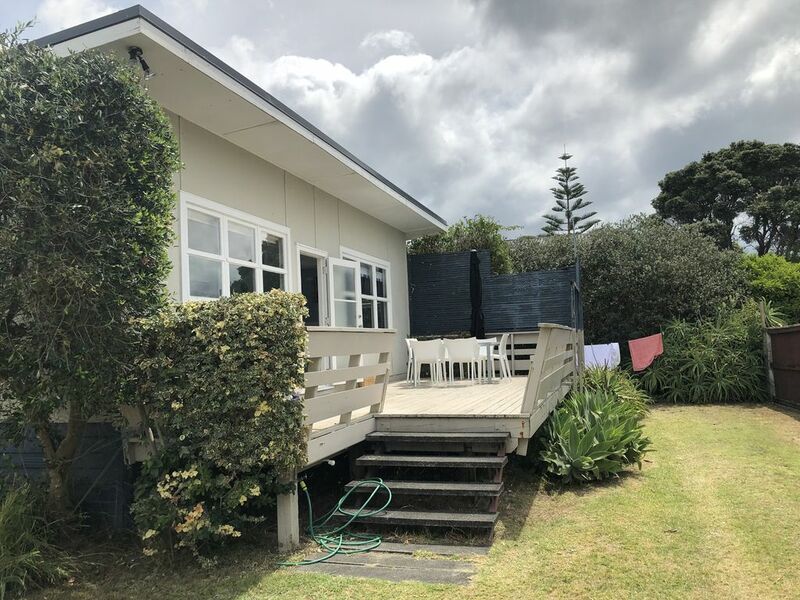 This great holiday pad offers all you need for a great getaway to re-charge the batteries and experience all the attractions Whangamata has to offer. Average size double rooms, open plan kitchen and living, small but tidy. Paul and Juliana Mitchell M.
Small but has everything you need. Great Bach- very comfortable, clean and tidy and a modern decor. All you need. Great position close to the beach and an easy walk to either the Surf Club or the estuary. Will be back again. Rangi haven was an awesome heavenly haven. Rangi haven was an awesome heavenly haven. We were so happy and comfortable in this gorgeous stylish bach. Great walk to the beach and parks nearby. It was so good we didn't want to leave. It was like a home away from home. Thank you! The property was well presented. The property was well presented. A cute and comfortable cottage in a perfect location, would definitely book again.